What Is a Healthcare Surrogate, and Do I Need One? Barbara Bush’s recent passing and decisions she made for end-of-life care have brought attention to people everywhere as they begin to think about what types of care they might choose when it comes time for them to leave this earth. Bush opted for comfort care only instead of receiving extensive medical care. She wanted to be at home surrounded by her family. While it’s never fun to think about the end of your life, it is important to determine while you are still competent and able how exactly you want your loved ones to handle your end-of-life care and who you want to be in charge. The State of Florida allows you to name a competent adult to make decisions about your medical care if you become unable to make the decisions yourself. This person is called a healthcare surrogate and can make decisions about prolonging your life if you aren’t able to speak for yourself. The decision on who becomes your healthcare surrogate is especially important because they will become the person who will make your end-of-life wishes for you if the need arises. Their powers only go into effect if the doctor finds that you are mentally or physically unable to communicate a willful and knowing healthcare decision. Your surrogate can be a close friend or family member but must be someone that you trust to make serious decisions on your behalf. You can also appoint a second person as an alternative surrogate if the first person you designate is unwilling, unable, or unavailable to act for you. What Are the Responsibilities of a Healthcare Surrogate? The surrogate will have the authority to make all healthcare decisions during your incapacity. They will be allowed to consult with appropriate healthcare providers to provide them consent for decisions that they feel you would have made if you were able to make them yourself. They may be provided access to your medical records if necessary. They can apply for public benefits such as Medicaid and Medicare if needed and will also have access to your income, assets, and financial records to make the application. You will also need a durable power of attorney for this purpose. They may authorize the release of your medical records to appropriate parties to ensure your continued healthcare. I Want to Designate a Healthcare Surrogate. What Do I Need to Do? If you choose to designate a surrogate for your healthcare, be sure you ask them if they agree to the responsibility. Explain to them your end-of-life wishes and make sure they are willing to follow through on those wishes if you need them to. Speak to an attorney to have them assist you in creating the appropriate documents to legally name your healthcare surrogate. The documents must be witnessed by two adults, one of which cannot be a blood relative or spouse and cannot be the surrogate. Once the document has been created, be sure that your physician and other significant people in your life know you have created the document and where it is located. Sign and date the document showing your intent to revoke. Physically destroy the original or have someone destroy it for you at your direction and in your presence. Orally express your intent to revoke the document. Execute a new document that supersedes the older document. 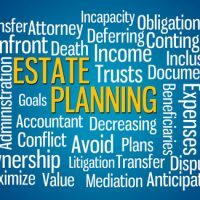 How Can Attorney Help Me? Choosing who will take care of you at the end of your life is one of the most important decisions you will make. With laws continually changing, it is hard to keep up with what you can and cannot do when it comes to end-of-life care. Dedicated Tampa attorney David Toback has experience in such law and can be sure that all the necessary documents are completed so you get the care you want and deserve.